Providing the best in animal care since 1949! 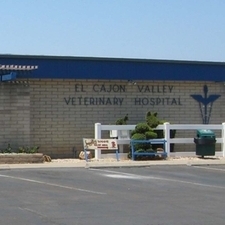 El Cajon Valley Veterinary Hospital (ECVVH) was founded in 1949 by Dr. Warren Dedrick after he was invited to journey out west by an old Kansas State college friend. The original hospital building was comprised of just 3 rooms total and was located on the west side of Magnolia Avenue, which is now an overpass for Highway 8. The hospital moved to its current location and into its current building on Johnson Avenue in 1970. In the beginning, ECVVH doctors did not specialize in just small or large animals; they saw whatever came through the hospital doors or whatever was waiting in the parking lot. Doctors would go from being inside wearing a smock, pulling a foxtail out of the ear of a dog to changing into coveralls and boots and heading outside to check if a cow was pregnant. All that began to change in the late 1970's and early 1980's. Doctors began to gravitate toward either practicing small or large animal medicine and the hospital has had separate departments ever since. Presently, ECVVH serves the needs of dogs, cats, pocket pets and horses. The Small Animal Department operates on a walk-in basis, with exception to surgeries, grooming and boarding. The Equine Department operates on an appointment only basis for any desired services. Standing in front of ECVVH is an impressive 100 + year old flag pole which was donated by Roylene Perkins, a long time friend, employee and client of ECVVH. Times have changed to say the least! One thing that has not changed is ECVVH's dedication to provide both you and your pet with exceptional veterinary service!